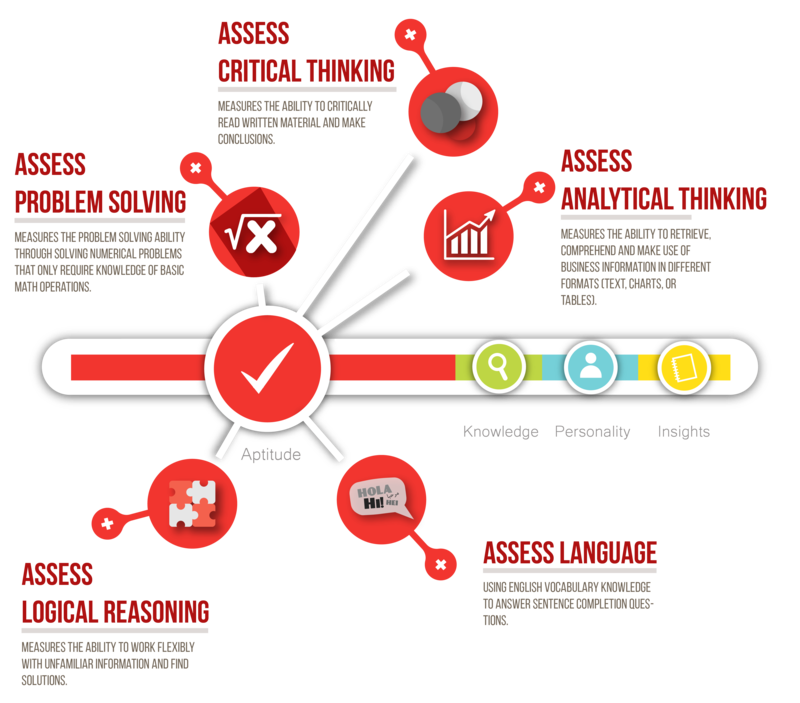 ASSESS Focus is our cognitive ability assessment product that is commonly used in recruitment and selection, as well as in job promotion. Research indicates that aptitude scores are correlated with potential job performance – or in other words aptitude offers a good prediction of future job performance. Job candidates, who score higher in cognitive that are likely to outperform their peers, and possess strong mental and cognitive capabilities that enable them to be more successful in high stake jobs.